Ron and Angela Zappia are in a tight spot. Angela has lung cancer that has spread to her liver. Ron has asthma and a lung disease believed to be related to his volunteer work at the World Trade Center site after the terrorist attacks of Sept. 11, 2001. The couple, who moved from New Jersey to Brandon in 2006, fell behind on the mortgage on their $265,000 home a couple of years ago. They've been trying to work out a loan modification with their lender while the bank foreclosure is pending. When they got about $600 behind on their homeowners association dues, Ron Zappia assumed the debt would be rolled into their loan modification. Bad news: The homeowners association foreclosed first. The Zappias' house was auctioned in mid April, and it was purchased for $3,780 — the amount of the outstanding lien — by Prop Inc. 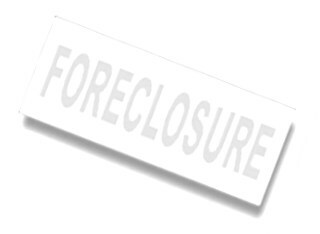 The company and its affiliates were profiled in a recent St. Petersburg Times story for their acquisition of 71 homeowners association foreclosures in Hillsborough County over the past eight months. Angela Zappia said Prop Inc.'s agent, Lisa Gerhart, came by in late May with an ultimatum. She threatened to evict the family, which includes three kids ages 10, 12, and 16, unless the Zappias started paying rent. One other option offered by Gerhart: Pay $15,000 for Prop Inc. to go away. "I said, 'Are you throwing me out of my own home?' and she said yes," said Zappia, who was unaware her home had been sold until Gerhart showed up at her door. Gerhart did not return a call seeking comment. The Zappias, who get $2,100 a month in disability payments, had little choice but to begin paying rent. Gerhart gave them a "discounted" rate of $1,000 a month but made an unusual demand. If Ron Zappia, a mental health counselor who volunteered at the World Trade Center site after the attacks, gets any settlement from the 9/11 fund, Prop Inc. will collect $400 a month in back rent. Prop Inc., which already has nearly recouped its investment in the Zappia's home, told the family it will pay the homeowners association dues out of the rent, but it will not make any mortgage, tax or insurance payments on behalf of the property. Angela Zappia said Gerhart told her Prop Inc. will try to buy the house from the bank in a short sale. "Then she said we could use her mortgage company and borrow money from them to repurchase it," Zappia said. "But I've got news for her: I wouldn't buy a thing from them." Zappia is still trying to figure out how someone could get title to her house for pennies on the dollar. "It may be legal," she said. "But it's so hard to believe when you're living it."